Like countless soul stars before them, Boyz II Men showed that Christmas music and R&B go hand in hand. Known for their divine harmonies and heartfelt ballads, Boyz II Men's holiday albums capture everything the group is famous for. Not content with rehashing the same old carols, Boyz II Men produced an album full of emotive Christmas originals. Tracks like Share Love and Let It Snow are chilled and upbeat, while others such as Do They Know are much more low key. The group opens and closes the album with their interpretation of Silent Night; a reharmonised a capella rendition that shows off their vocal skills. 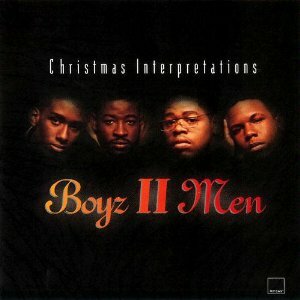 Christmas Interpretations captures the essence of Boyz II Men perfectly and is a must have for any fan of the group. For the casual listener however, the emotional ballads are more likely to have you weeping into your cider than rocking around the Christmas tree. 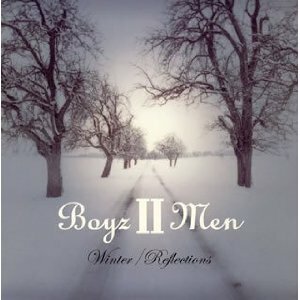 Oddly enough, Boyz II Men’s second Christmas album was released only in Japan. Like their first holiday collection, the Winter/Reflections is an interesting blend of new songs and Christmas classics. The title really sets the tone here, with the original tracks in particular having something of a reflective and quiet nature. The group shows off their harmony skills when it comes to the traditional carols; this time songs like God Rest Ye Merry Gentlemen, What Child is This and Little Drummer Boy are included. There is nothing particularly innovative about the arrangements however and Winter/Reflections pales in comparison the group’s first Christmas album.